We pursue design excellence with every project. From concept to construction, meticulous attention guides our processes toward delivering the best results for our clients. Our design phase services offer significant advantages to projects of every scope and size. During preconstruction, we use our proprietary database of construction information compiled from over hundreds of Wilson Electric projects to create highly accurate cost models. These models provide a road map for the entire project team that is critical when making decisions about major systems, materials and equipment. When it comes to CM at Risk projects, Wilson Electric has a proven track-record of maintaining project budget and schedule. Involving us early brings commitment and gets people working together from the beginning. In addition it offers the opportunity for extensive cost savings. More collaboration at an early project phase, allows the general contractor to be more comfortable in providing a realistic budget to the owner. 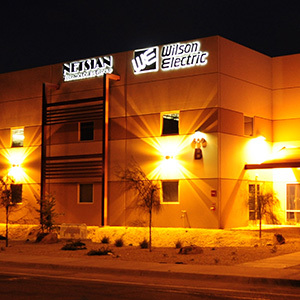 Wilson Electric understands the importance of developing an accurate budget. We have significant experience serving in this capacity on a variety of different projects, varying in size and complexity. In an effort to continue to give our clients the best possible service, we recommend this proactive approach. Wilson Electric can help general contractors and owners meet project budget requirements and deliver the highest level of service. Most of our largest projects are delivered using a streamlined design-assist method. We have a longstanding track record of excellence with these types of projects. preconstruction managers. They are forward thinking and contribute to design concepts and optimization. We also walk through budgeting with our clients to help them understand provided allowances and established deadlines. We encourage regular budget and cost presentations to communicate with the design team. We partner closely with electrical engineering team, resulting in optimized, high-value design/performance for the lowest possible cost. Our extensive detailing capability also allows us to convey high level layout, routing, constructability and servicing review early in the process. This frees up engineering consultants to focus on programming and conceptual design. Finally, our integrated coordination process enables preconstruction and construction teams to match planning lead times and manpower to a project’s master schedule. This allows for critical deadlines to be met more easily. We have a rich history of diverse, complex design-build projects that have allowed us to demonstrate our expertise and finesse. We specialize in market-driven, sustainable solutions for various types of facilities. We are committed to smart design. Our people bring fresh ideas to the table and successfully integrate them into conceptual design. With our knowledge, experience, and creativity, we guarantee an optimal project experience. When choosing to competitively-bid your project after the design is complete, you want an electrical contractor with strong reputation for quality, excellent safety record, and the manpower as well as the expertise to complete the job right - all the things that help lower costs. JOC contractors are selected on qualifications and performance at a best value. JOC is about performance, reliability, dependability and quality. At the same time, JOC is about results and working within budget and time constraints. Today the JOC concept and principles have embraced in all areas of publicly funded state facilities, universities, housing authorities, transportation agencies, healthcare systems, and school systems. Not only public sector but also private sector facility owners are expanding the use and implementation of the JOC procurement system.